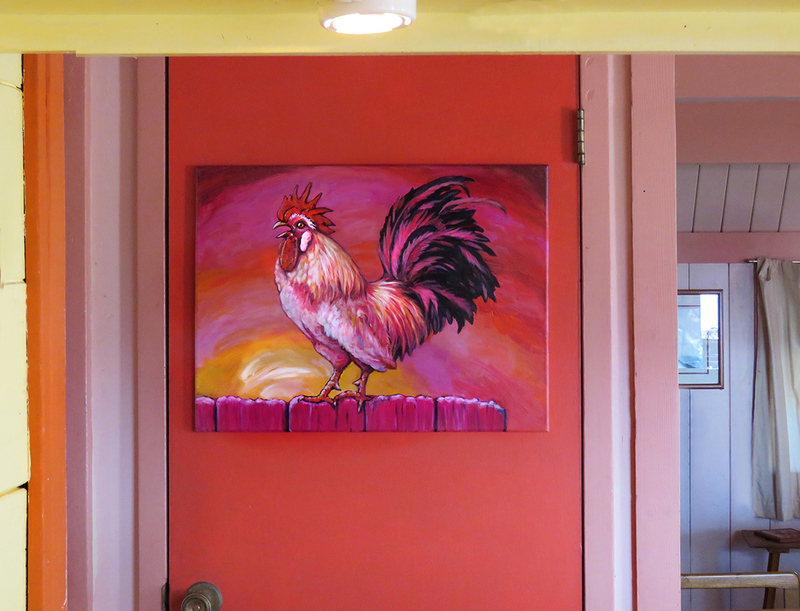 This painting started with a dream when I first got back to Molokai after a long absence. Roosters under my window woke me up, but not until I dreamed about catching the annoying birds and spray painting them all pink. After a few days I got used to them again, but the image stuck with me. 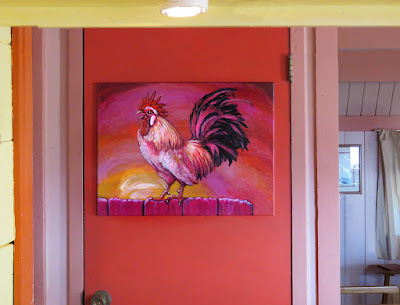 Most people heading off for their first vacation to rural Hawaii don't know that very loud feral roosters are going to jolt them out of a sound sleep at 3 a.m. All I can say is be prepared. When I finished the painting, which looks remarkably like a Sanrio product, I didn't know what to do with it. It kicked around in the potting shed for awhile. My host, who has a very colorful house, laughed when I held it up in front of one of his closet doors. His wife painted the house with the fervor of Carnival, in every possible bright color known to man. It's cheerful and wonderfully unusual. 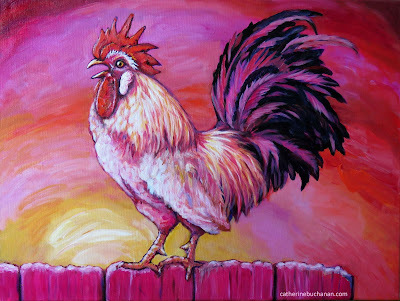 The shrieking rooster painting looks amazing! It fits. It's clearly the product of this environment, the loud house, the louder creatures and well, I'm happy to say it has found a permanent home.